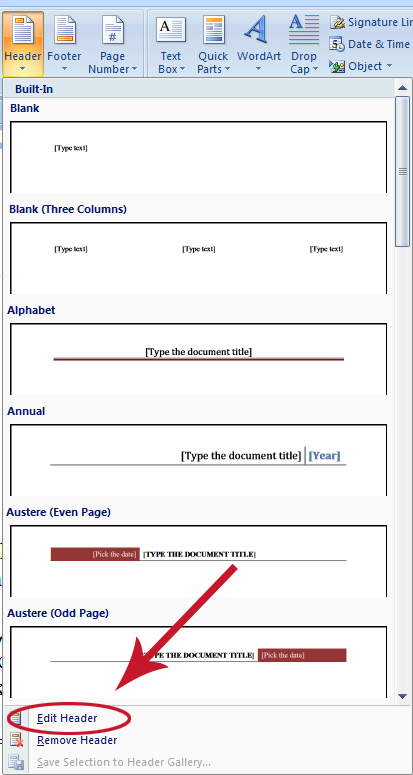 I used MS Word 2007 for this tutorial. We want the author's name on the left side and the title of the book on the right. 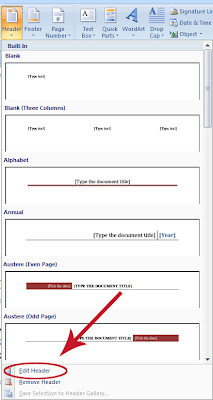 a. Click the "Insert" tab on the ribbon and then click "Header" (see Figure 1). 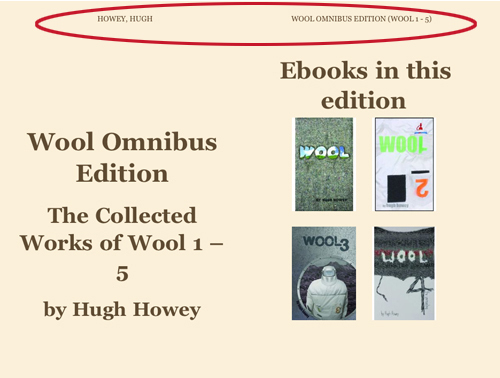 b. Click "Edit Header" at the bottom of the menu (see Figure 2). 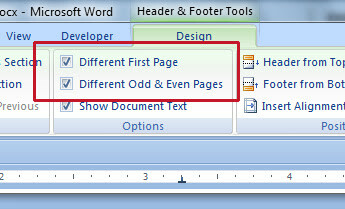 c. Select "Different First Page" and "Different Odd & Even Pages" (see Figure 3). Don't close the header yet! b. 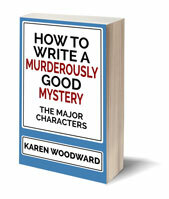 On page 3 type the title of the book. c. Select "Close Header and Footer"
I've run into a glitch. I've found that MS Word can be cantankerous when it comes to Headers. Sometimes I'll have the "Show different first page" option checked, delete the header on the first page, but instead of it only being removed from the first page it'll also be deleted from the rest of the odd pages. Here's a work around. 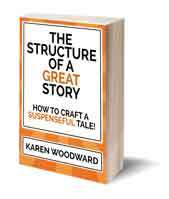 Make your first page--your title page--a different section by inserting a "different page" section break. Get into the header (if you're in Print Layout just double-click in the header) and make sure that, for both the odd and even pages, "Link to Previous" is NOT selected.